Back in January, I posted the characters (part 1 part 2) for my DCC Thundarr campaign. 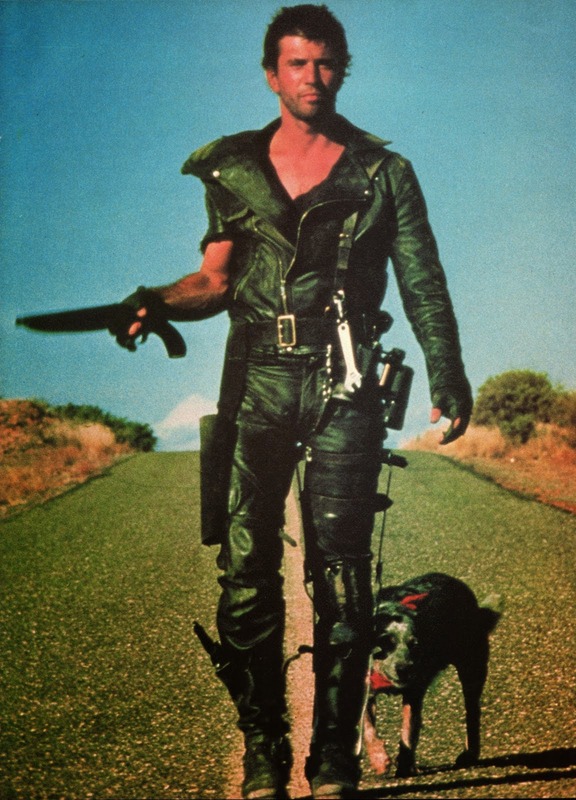 One of the archetypes I had outlined was a Road Warrior. After the first set went up, +Reid San Filippo offered me a sneak preview of his latest Crawling Under a Broken Moon zine. It's all about the post-apocalyptic roadways. I promised Reid I wouldn't post about the Road Warrior before he released Issue Six. It's out now! 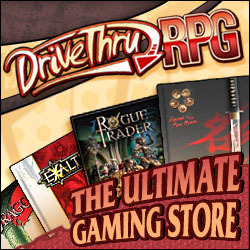 Here's a set of iconic vehicles and the Road Warrior for your DCC game. See CUABM Issue #6 for a full explanation of the vehicle stats. Raider Motorcycle: Beater Motorcycle Init +5; Atk rundown +1 melee (2d4+Ram); AC 12*; HD d4; HP:6 Speed cruise 3/ max 5; Act 1d20; SV Fort +0, Ref +3, Will NA; Fuel Tank 1d5; Guzzle 1. Basic Traits: Very Nimble, Very Dangerous, Open, Off Road; Armored +2 AC to driver. Raiders often weld metal plates onto their bikes for added protection. Raider Buggy: Beater Buggy: Init +4; Atk rundown +2 melee (3d5+Ram); AC 14*; HD d5; HP:9 Speed cruise 3/ max 5; Act 1d20; SV Fort +1, Ref +2, Will NA; Fuel Tank 1d6; Guzzle 2. Weapon mount: compressed air arrow launcher - Atk: as gunner Dam:1d6 Fires 3 arrows at the same time, one shot only until reloaded, takes two turns to reload. An armored raider buggy with a multi-shot compressed air arrow launcher. Raider Warlord Truck: Keeper Truck: Init +1; Atk rundown +6 melee (3d10+Ram); AC 16*; HD d12; HP:36 Speed cruise 3/ max 5; Act 1d20; SV Fort +6, Ref 0, Will NA; Fuel Tank 1d12; Guzzle 6. 2X compressed air arrow launcher - Atk: as gunner Dam:1d6 Fires 3 arrows at the same time, one shot only until reloaded, takes two turns to reload. Flamethrower: Atk: as gunner Dam:3d6 Close range only Ref save DC15 or catch fire; 1d6 damage per turn until save is made or fire is put out by other means. The raider warlord keeps all the best parts for himself. This vehicle requires a minimum crew of 4. The warlord often sits on top or in the rear on a custom built throne of car parts. The last of the surviving muscle cars. Highly prized by petrol heads. Petrol heads add +1 to their Ace and Mojo die rolls when driving this car. 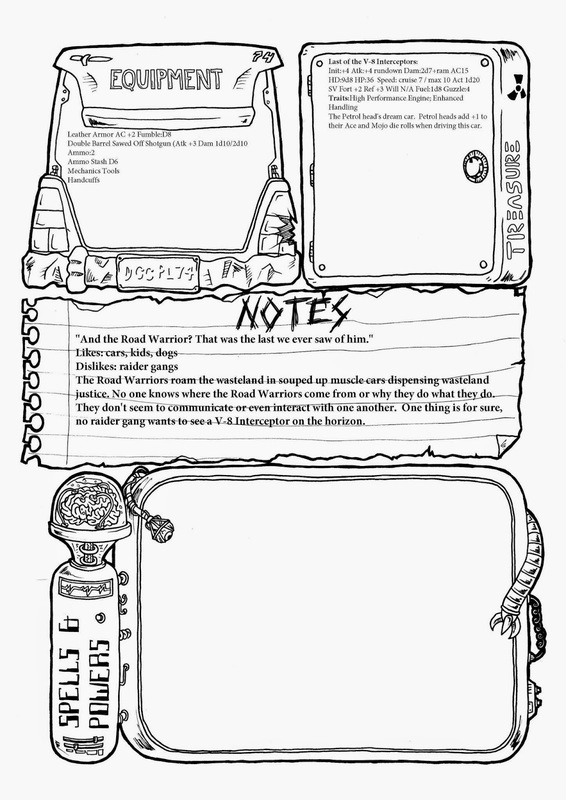 Car Warrior: Keeper Large Car: Init +2; Atk rundown +4 melee (3d7+Ram); AC 19; HD d8; Speed cruise 3/ max 5; Act 1d20; SV Fort +2, Ref +1, Will NA; Fuel Tank 1d8; Guzzle 3. A heavily armed and armored car used by petrol head auto-duelists. 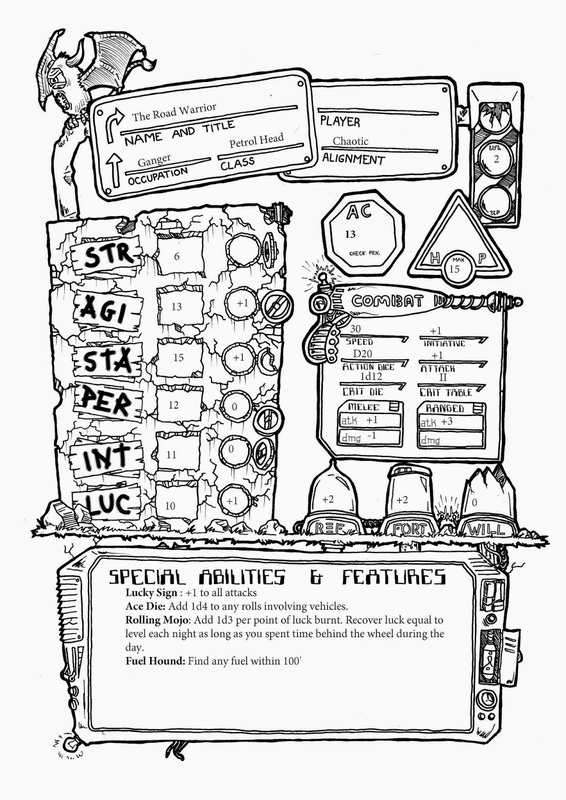 For my Crawling under a Broken Moon game, I wanted a BIG monster for the players to fight. What's better than a T-Rex? A Cyber T-Rex!